In 1904 the American sewing machine company Singer built a six story art nouveau building to host its Russian headquarters. The building is crowned with a glass tower topped by a glass globe sculpture that creates an impression that the building is higher than what it actually is. During the first world war, the US embassy was hosted there, but right after the Russian revolution the building turned into the city's largest bookstore. Later the success of the bookstore made this beautiful building to became also known as the House of Books. 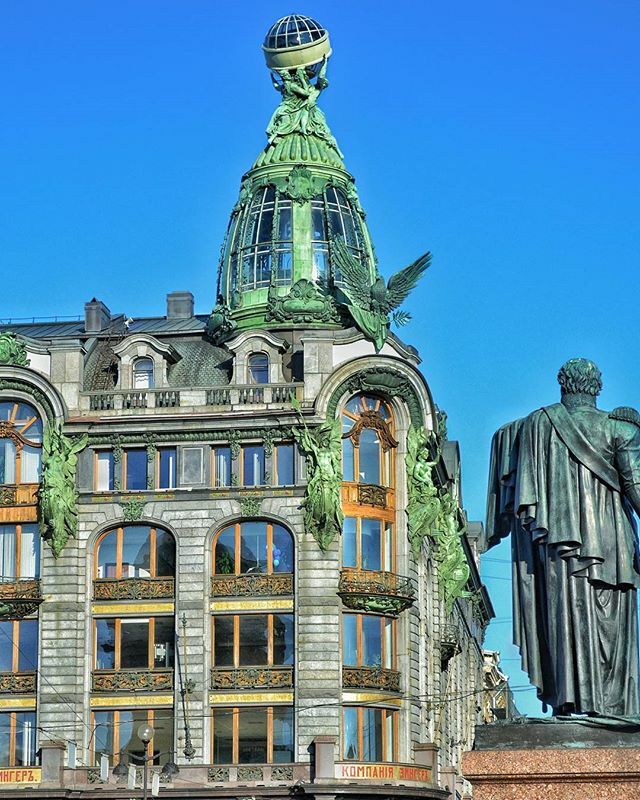 Today the Singer House is the home of several businesses including the headquarters of VKontakte, the biggest social network of Russian speaking countries.